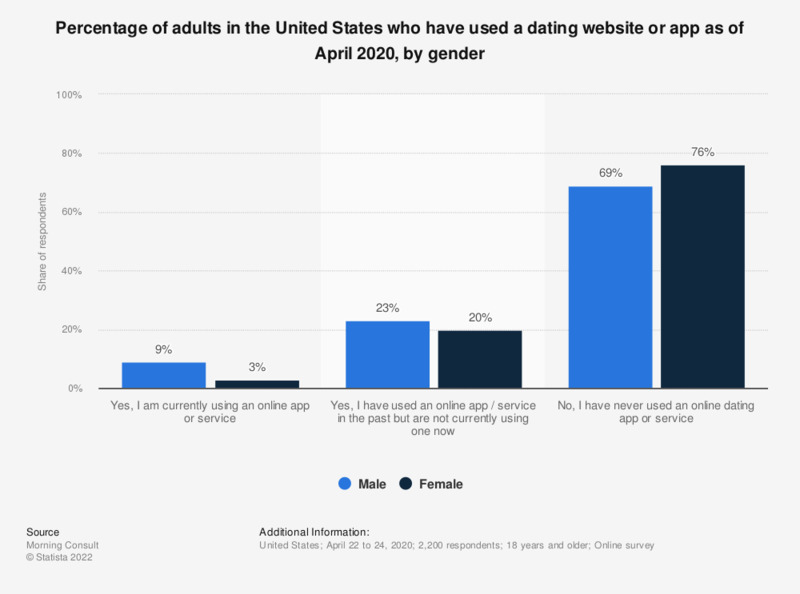 This statistic presents the percentage of adult online users in the United States who have used a dating website or app as of January 2019, by gender. According to the findings, ten percent of male respondents stated that they were currently using a dating website or app, while in comparison only five percent of female respondents reported similar responses. Question: "Have you ever used any dating websites/apps?"